A Cat 793F autonomous truck at the Navajo mine trial. From the smallest operations to the many massive surface coal complexes that dot the map of America’s coalfields, the heart of the production process is the haul truck. It is also consistently the focus of research and development, including ergonomics, maintenance, safety, production efficiencies and, particularly over the last several years, autonomy. Having said that, the condition of the market has not really had an impact on the work being done in the enhancements of haul trucks overall; in fact, OEMs seem to be capitalizing well on any lull in demand by putting more time, money and energy into improving technology for the long-term future. There is no question that the idea of autonomous haulage has the ultimate “cool factor” in surface mining. Technology always considered for someday is here and, while still being polished, is arguably closer to reality in North America than one might think. Haulage autonomy is not cheap and is complex to implement, but we’ve already been shown that it is possible elsewhere (and mostly with high levels of success). That is certainly more than can be said for underground automation efforts at this point in time. Caterpillar Senior Mining Market Professional James Humphrey recently addressed one of automation’s biggest obstacles, overcoming the industry’s preconceptions of the technology, by pointing out that there is a natural resistance to change. Looking at all of the operations worldwide that now can boast autonomous haulage, it is important to note that those locations also had similar hesitations. As Humphrey noted, it certainly wasn’t an instant epiphany that got those mines to jump on the automation bandwagon, nor was the advancement of the autonomous mindset an overnight success for OEMs. “Caterpillar…began building toward autonomy more than 30 years ago and had a truck operating in the mid-1990s,” he said. “Lessons learned during those early years led to the realization that there was much more to be learned — not just about the machines themselves, but about the systems and knowledge that must be in place for a successful implementation. 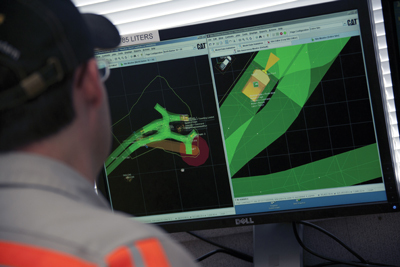 After decades of effort, Caterpillar’s first official commercial autonomous mine site went to work in 2011 in Farmington, New Mexico. Fast forward just a few years, and Cat has now released the results of a case study focused on its autonomous truck system in coal, which wrapped in March 2013 at that mine, BHP Billiton’s Navajo complex in the northwestern region of the state. The 21-month trial of the OEM’s Command for hauling autonomous truck system involved three Cat 793 mining trucks that moved nearly 3 million bank cubic yards (2.3 million cubic meters) of material, and processes and procedures were refined to build toward commercial installation of larger fleets. The project additionally permitted the Caterpillar team to gather information that led to significant improvements in cycle times and truck utilization over the course of the trial. The Caterpillar team made two significant software updates and several minor updates as the feature set evolved; first, improved travel path planning and increased top speeds produced a significant reduction in cycle times. Refinements in the system and mine procedures also improved truck utilization by about 20% during the trial. Additionally, the company also developed safe work procedures transferable to future autonomous truck operations. Cat moved even further ahead with its goal of autonomous operations on a commercial level with the delivery, installation and support of a complete Cat MineStar system at Fortescue Metals Group’s Solomon iron ore mine in the Pilbara region of western Australia. The project, announced last October, was initially implemented for the first phase of Solomon, the 20 million-metric-ton-per-year (mtpy) Firetail manned mine, in October 2012. As part of an autonomous mining solution for the second phase, the 40-million-mtpy Kings mine, eight Command for hauling Cat 793F CMD trucks were commissioned and commenced operations in the second quarter of calendar year 2013. The overall mine plan calls for a progressive ramp up to 45 autonomous trucks over the next several years; in addition, other Cat MineStar System capability sets were used across the mine’s mobile equipment fleet, support equipment and light vehicles. Working closely with the mining operator and its contractor Leighton Contractors, both Cat and WesTrac, the Cat dealer in Western Australia, worked to provide a full solution for managing, operating and supporting Cat MineStar System and Command for hauling. While the project was not in coal, it serves as an excellent example for the industry of a greenfield project that was able to achieve the successful collaboration of skilled teams from several involved players to deliver an efficient, cost effective autonomous mining solution. BHP also noted in its confirmation of the mine’s startup in April that that positive results from the test could lead to the technology’s use in coal. At Jimblebar, six autonomous Caterpillar 793F trucks were used in the trial that began August 1, 2013, and beginning mid-year, the miner said it would expand the truck trial to include a second circuit. Also, an additional six trucks were set to operate at the neighboring Wheelarra 4 pits, enabling ore dumping by autonomous trucks into the newly tied-in Wheelarra crusher. A truck controller’s station in motion during the Navajo autonomous truck trial. “BHP Billiton is committed to pursuing mature and proven technology options that demonstrate value to the business,” the company told Coal Age. 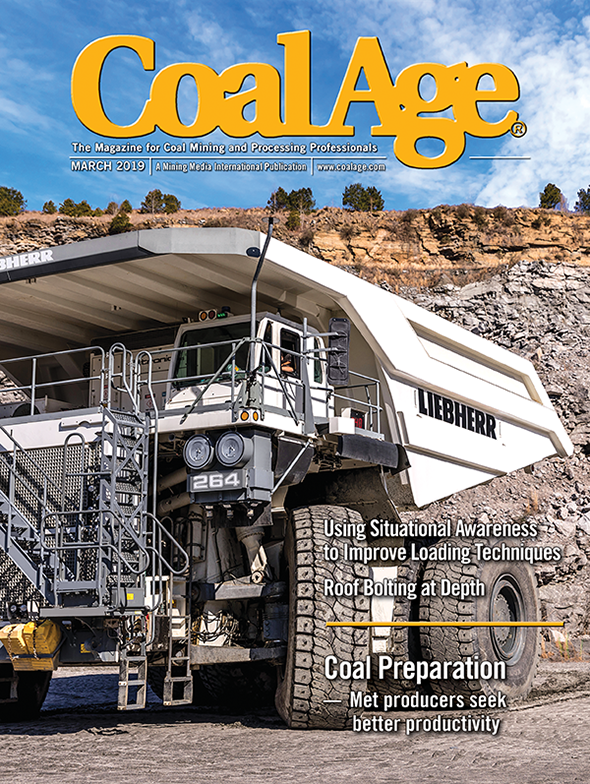 “The use of autonomous haul trucks has the potential to introduce safety benefits by removing people from potentially hazardous environments; increasing the predictability and productivity of haulage operations, providing new employment and training opportunities for our people and reducing the labor intensity of future mining operations. So, the work is definitely being done to bring automation to a point of perfection for the domestic market — and many are eager to take it on. Humphrey stressed that mines should take several main points into consideration in the decision to make the move. “While the early days of autonomy were exciting and mining companies and manufacturers were eager to see it come to life in the real world, we learned that implementing a technology for technology’s sake should never be a goal,” he said, adding that a problem should be identified along with the technological solutions to address it. “That technology may or not be autonomous haulage. In fact, there are more sites that aren’t candidates for autonomy than there are sites that would benefit from the implementation of this technology,” he said. Safety: There are potential safety issues that could be alleviated with autonomy. Utilization: There are significant delays such as shift changes, lunch breaks, meetings and training, etc., that would be eliminated if drivers were not operating the trucks. Productivity: There are efficiencies to be gained with a higher degree of consistent and reliable performance of trucks, in addition to deployment velocity. Autonomy eliminates driver-influenced inefficiencies such as truck bunching behind an overly cautious driver or dilution caused by loads going to unassigned locations. Additionally, it offers the ability to add or remove trucks to a circuit and is not dependent of the number of operators who showed up for work that day. Remote Regions: The logistics of bringing workers to a location where they must be housed, fed, entertained, etc., presents a challenge and is a significant expense. Autonomy reduces the infrastructure requirements by reducing the number of people required for operations. People/Skilled Resources: It is often difficult to find skilled people who will be able and willing to handle the challenges and rigor of a mining lifestyle. Autonomy helps reduce the number of people that must be hired. 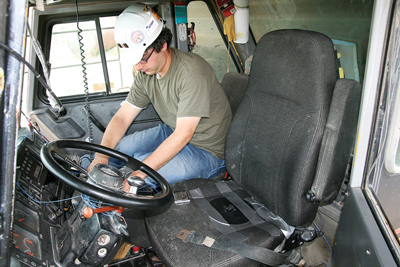 A NIOSH researcher installing data collection instrumentation in a haul truck. In June, miner Rio Tinto revealed it had met a notable milestone in its autonomous endeavor, the Mine of the Future program, when its fleet of autonomous haul trucks recorded a total of 200 million mt of material moved in the Pilbara, Western Australia. One of Rio Tinto’s massive Komatsu 930E autonomous haul trucks moved the milestone 200th million mt at Yandi-coogina mine in late May. Since commencing Rio Tinto’s AHS trucks moved the first 100 million mt by April 2013 and then the next 100 million mt just 13 months later. As Harding noted at the time, the autonomous technology has the potential to bring value and productivity benefits through decreased variability, improved schedule efficiency and early identification of bottlenecks in the system — all factors the Pilbara mine had realized, along with significant savings in maintenance, tire life and fuel. Rio Tinto is the largest owner and operator of autonomous trucks in the world after recent additions to the Pilbara fleet earlier in 2014. As of early June, there were 53 autonomous trucks operating across Rio Tinto mine sites at Yandicoogina, Nammuldi and Hope Downs 4. The fleet had driven 3.9 million km at that point — equivalent to five return trips from the Pilbara to the moon or driving around the Earth’s circumference 98 times. They respond to GPS directions to deliver loads 24 hours a day supervised by remote operators. As exciting as autonomous haulage is, the general truth — depending on whom is being questioned — is that widespread use in North America still has a fairly long and bumpy road ahead. There is other ongoing, crucial work in haul truck design and safety that has application in a much closer timeframe. One of those efforts has been taken on by researchers at the National Institute for Occupational Safety and Health (NIOSH) — that being the development and evaluation of a smartphone-based audit tool to evaluate haul truck ergonomics for enhanced safety of operators. 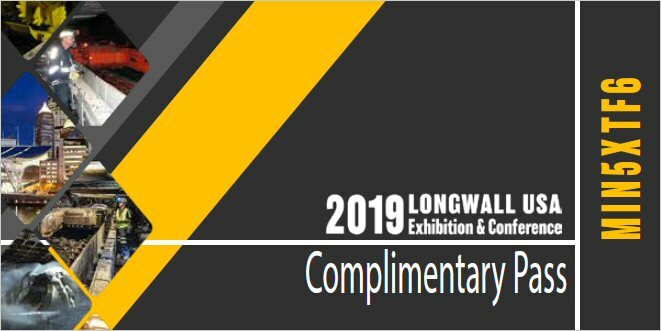 The program, being built and tested by NIOSH’s Patrick Dempsey, Jonisha Pollard, William Porter, Alan Mayton, John Heberger, Sean Gallagher and Leanna Reardon, offers specific point-in-time assessments of how well jobs and workplaces have been designed from an ergonomics standpoint. The group has developed ergonomics audits for three types of mining operations, including haul truck operations as well as bag filling and closing (e.g., small bags and intermediate bulk containers) and maintenance and repair tasks performed at coal preparation and minerals processing plants. The trio of audits were developed over a period of several years after assessing and integrating historical injury data, extensive mine site field data collection and laboratory studies at the Office of Mine Safety and Health Research. The team also gained extensive knowledge directly from mine personnel providing their own company solutions to ergonomics issues. Additionally, as part of the audit development, a researcher pilot tested earlier drafts of the audits with mine health and safety professionals to improve the audits’ use, relevance and functionality. The agency said that the results from this research will be made available to the industry once the analyses are completed. The NIOSH audit tool will be made available in both a mobile application and paper document format. The app, ( which will be downloadable for free for iPhone and Android platforms) as well as the paper-and-pencil version of the audit, should be ready by mid-2015.